Addis Ababa (Ethiopia) August 07, 2018 (SPS) - The Sahrawi Republic and the Republic of Botswana signed Monday in Addis Ababa a joint statement on the establishment of diplomatic relations at the ambassadorial level. Saharawi Republic and Botswana Republic decide the establishment of diplomatic relation at the ambassadorial level. The Government of the Republic of Botswana and the Government of the Saharawi Arab Democratic Republic, desirous of promoting and strengthening the relations of friendship and cooperation existing between the two countries, have decided to establish diplomatic relations as of the date of the signing of this Joint Communiqué. 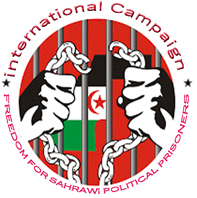 The Government of the Republic of Botswana and the Government of the Saharawi Arab Democratic Republic reaffirm their common adherence and commitment to the Constitutive Act of the African Union and to the principles of non-alignment, principles and purposes enshrined in the Charter of the United Nations and the provisions of international law, particularly, in the promotion of international peace and security, respect for the sovereignty and independence of States, and non-interference in their internal affairs. Prime Minister, Mohamed Luali Akeík, chairs the Government Council.